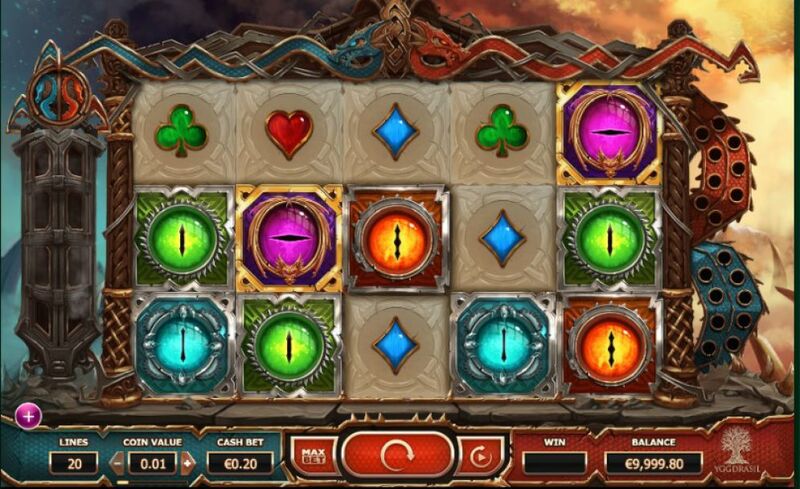 Here's a great new fantasy-themed online slots uk game from Yggdrasil. Fire and ice: two elements that are forever in free-fall thanks to their very combustible elements. 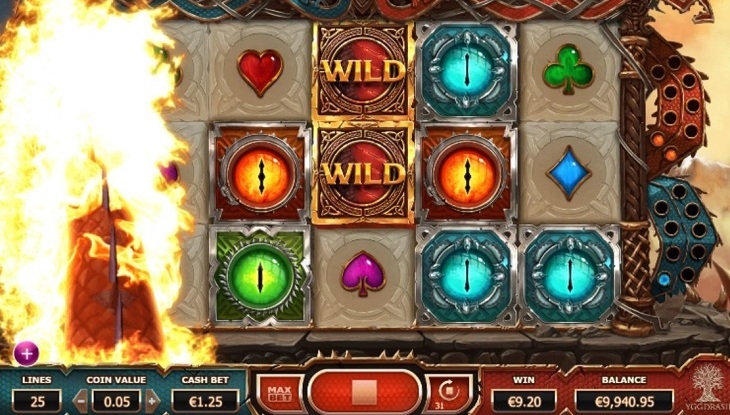 In this online slot from Yggdrasil, those elements are once again pitted against one another, this time from the mouths of some very aggressive dragons. Double Dragons is an online slot that features action from 5 reels over 3 rows and played within the confines of 25 pay-lines. Action in this slot is oriented from left to right. We should mention that Double Dragons is a slot that is chocked full of different features. The potential for reaching the upper echelons of scores is very likely in a scenario quite like this. Stacked wilds are the highlight here, offering many different ways for players to perceive these reels moving forward. 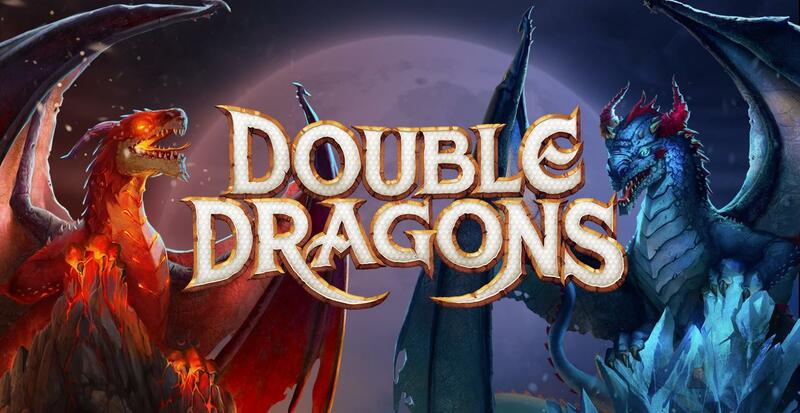 The Double Dragons feature is a highlight in this slot, activated through the matching of dragon head symbols, this mode allows for even higher wins through a bonus feature that multiplies all earnings. With a tagline like “Superior Gaming” you expect the best, and with Yggdrasil that is what you get and then some. If you were to mention the name Yggdrasil what comes to mind immediately is iconic. The past titles by Yggdrasil have all proven to have different levels of success across the entire globe. A staple in the online gaming scene, responsible for so many thoroughbred titles. To begin Double Dragons one must set their bets for each of the chosen pay-lines. Once the player is happy with their choice they may spin when ready by hitting the big circular button at the bottom of the screen. It is at the bottom of the screen where players can adjust a variety of different features including the audio options. There is an au­top­lay­ option for those who enjoy to play these type of slots from afar. The auto-play feature is one that can be found in many different online slot titles, simply select how many games you’d like to run and for how many coins and you can simply spin away! More Easy slot promotions, visit easyslots.com now. Anytime the player manages to form a winning combination on an active payline, a feature known as the dropdown win feature will be activated. This is a feature that allows players to reap rewards far greater than what the base game offers. During this mode there will be a variety of altercations to the base game, including: the fire dragon symbol turning 2 to 3 of the regular symbols into the wild symbol as well as turning the ice dragon symbol into a multiplier for each dropdown symbol that’s matched within the winning pay-line. Read more about mobile slots deposit and start spinning today!